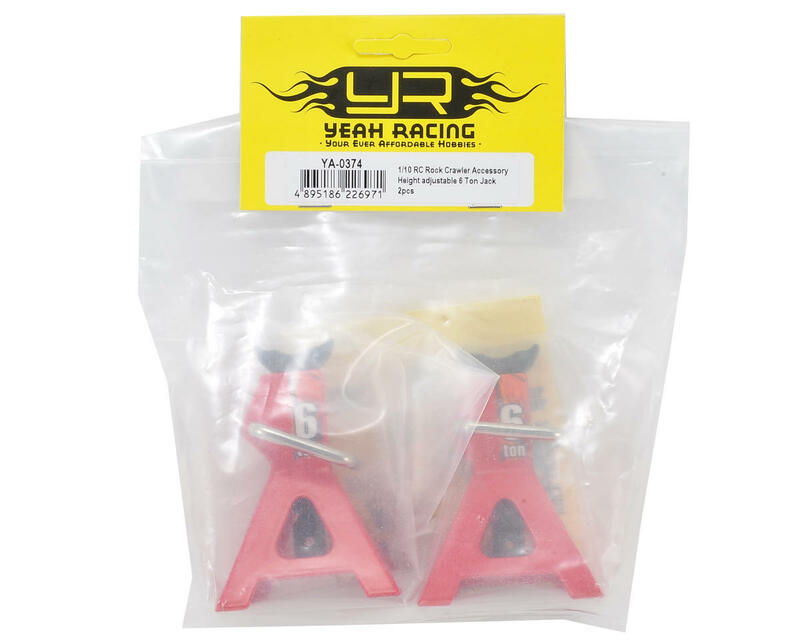 This two pack of Yeah Racing 1/10 Height Adjustable 6 Ton Jacks feature realistic looks and functions similar to the real thing. 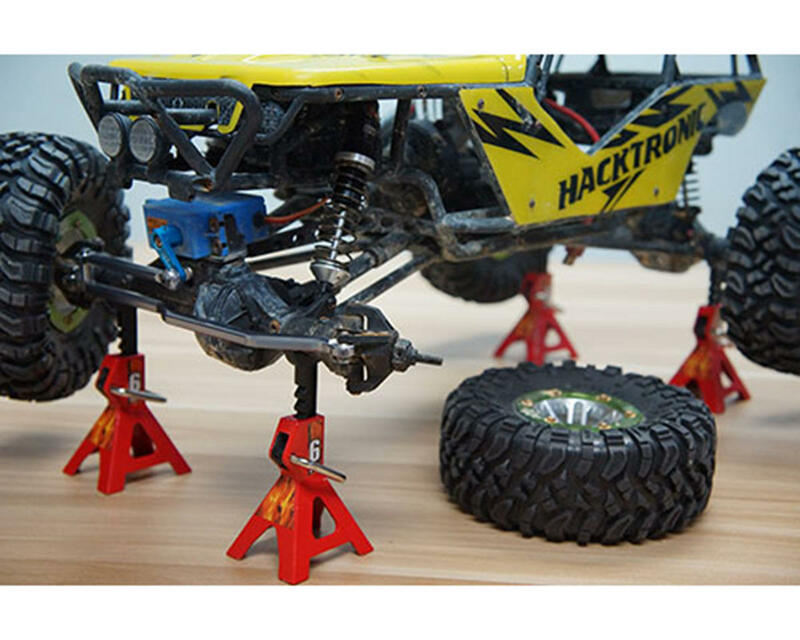 The jacks can support and hold most cars and trucks safely off the ground, prefect for RC repair work or storage. 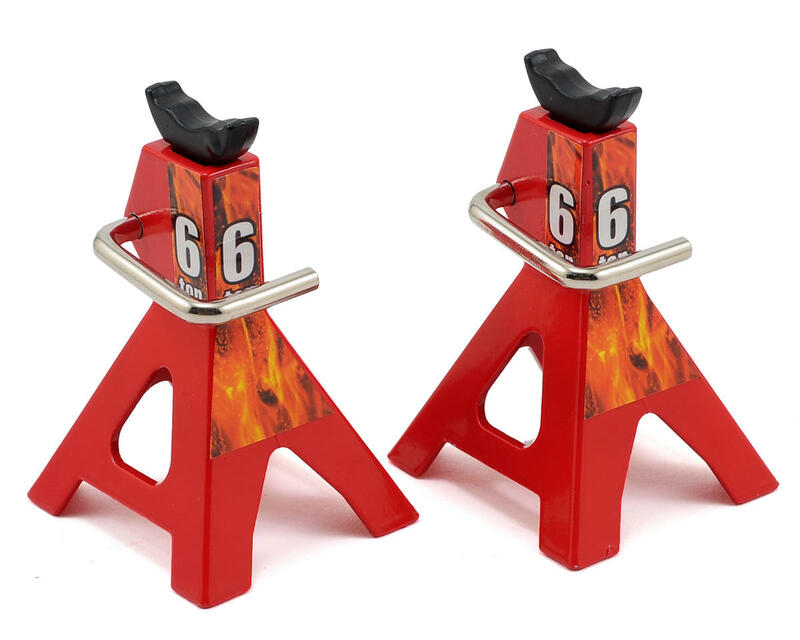 The metal construction and scale size of the jacks make them easily portable and super tough, making them the perfect addition to your RC garage or auto shop. Also available in Black color (YEA-YA-0374BK) and as a 3 Ton Height Adjustable Jack (YEA-YA-0449).